With the cosmically-charged Infinity Gauntlet in his grasp, Thanos nearly wiped out every living being in the universe... and would have succeeded if not for the intervention of some of the Marvel Universe's greatest heroes! 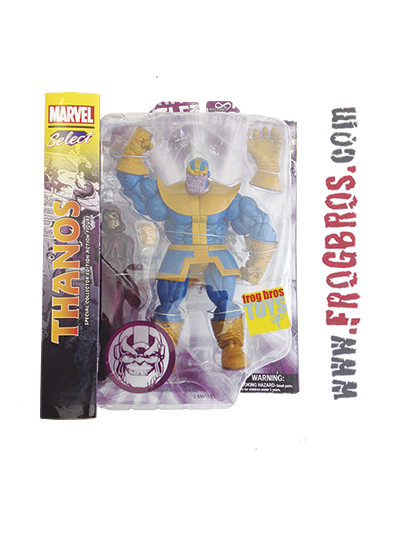 With 14 points of articulation, the Thanos figure is a detailed representation of the villainous legend, complete with a removable "Infinity Gauntlet" and a scale unarticulated Death figure. Blister card packaging.